As Washington D.C. politicians brace themselves for the expected release of special counsel Robert Mueller’s full report, the White House reportedly only has a “bare-bones” plan in place for handling the document: Speed reading the almost 400-page redacted report and zeroing in on two unanswered questions. 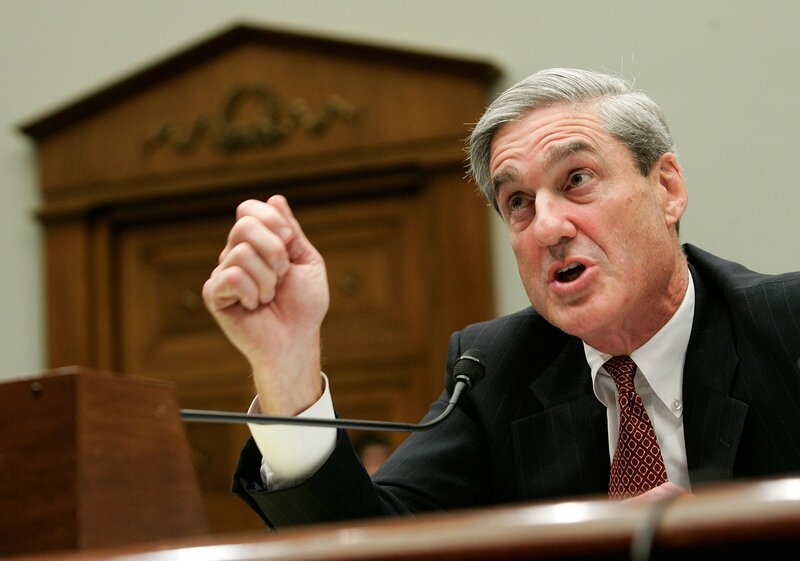 People familiar with the matter told the New York Times in a Sunday report that the White House legal team intends to focus on two points that went unanswered in Attorney General William Barr’s four-page summary of Mueller’s report was released late last month. “They intend to all but skip the sections related to potential criminal conspiracy, and instead zoom in on two outstanding questions that Mr. Trump himself wants to ignore: why Robert S. Mueller III, the special counsel, was not able to conclude whether Mr. Trump obstructed justice, and what the attorney general meant when he wrote in his letter that ‘much’ of the president’s conduct was public — meaning some of it was not,” the report said. As the White House has not requested to see the report in advance, Oval Office counsel Emmet T. Flood will be tasked with the job of reading the report and briefing Trump with its contents, the Times reported. The president’s personal attorney Jay Sekulow refused to disclose how they will tackle the redacted report — which Barr is expected to deliver this week — though he told the newspaper it will be similar to how they responded to Barr’s summary sent to Congress. Sources close to Trump told the Times that the president — emboldened by the release of Barr’s summary — has been acting more confidently in recent weeks after feeling like he lost control following months of rigorous public speculation before Mueller’s report finally concluded last month. “When they began to go after people he knew personally, who had worked for him for years, I think it gnawed at him, and I think he felt helpless,” former House Speaker Newt Gingrich said. In order to distract from unanswered questions about Mueller’s report, Trump reportedly revived a proposal which was previously been rejected by his own administration to release immigrant detainees in so-called sanctuary cities, sources close to the president told the Times. Last month, Barr released a summary of Mueller’s findings, nearly 48 hours after the special counsel’s investigation was completed. In it, Barr said the “special counsel’s investigation did not find that the Trump campaign or anyone associated with it conspired or coordinated with Russia in its efforts to influence the 2016 presidential election.” But on the issue of whether Trump obstructed justice, Barr said the report neither exonerated or indicted the president. The attorney general indicated in his summary that he found no reason to press a criminal charge against the president. Trump responded to Barr’s summary by tweeting: “No Collusion, No Obstruction, Complete and Total EXONERATION. KEEP AMERICA GREAT!” In the subsequent weeks, Trump’s assertion that he was completely vindicated has intensified, despite Democratic pushback and advisings that the public should wait for the full report to be released before assessing Trump’s innocence.